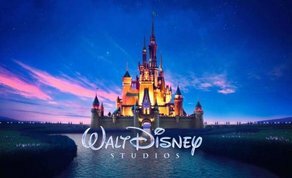 Walt Disney Studios Ireland is looking for applications from undergraduates looking for a challenging and rewarding 12 month internship with Disney. Imagine working side-by-side with industry leaders in your field of study. Imagine gaining valuable skills to add to your degree within a family of legendary brands passionate about creating world-class experiences on a global scale. Now, imagine yourself in a paid Disney Professional Internship. You will receive constructive on-the-job training and the opportunity to take on real responsibility within a supportive and encouraging business environment. As a valued employee you will receive essential knowledge to help you achieve success in your placement and onwards in your career. Disney is looking for a Studio Marketing and Publicity Intern to join them at Disney’s Studio Motion Picture location in Dublin. In this role you will primarily assisting the marketing and publicity team which is responsible for distributing and marketing Disney content (and related studios) in Ireland. Production of campaign reports for internal use. Administration support on marketing budgets and marketing related SAP. Preparation of locally relevant decks (including national/Irish research) for external pitching and communications with trade, promotional & media partners. Supporting all appropriate marketing, publicity & event activity. Work with the lines of business based in Ireland to maximize their results. Work with other lobs based outside Ireland as requested by GM and when launching or expanding business. You’ll support the General Manager in helping grow the Disney brand and business in Ireland including marketing and publicity support in planning; research and reporting of incremental business opportunity and activity. Note: The position involves working regular evening and weekend events due to the nature of the work. The opportunity to develop your skills and experience with Disney and help build the foundations of your future career. Learn from the best in fantastic team environment. Participating in our Disney VoluntEar schemes. Annual salary of €22,000 with 25 days’ holiday (plus bank holidays) and discounts at the Disney Store and on Disney products and shows available in Ireland. These roles offer fantastic exposure to a wide range of responsibilities and will be an excellent springboard for your future career in marketing and publicity. Please apply with your CV and covering letter. Please note, applications without covering letters will not be considered. Why have you chosen Disney? Why have you chosen this specific internship? Please include any Digital Marketing experience or skills. Why should the Disney team choose you for the next 12 months? The deadline for applications is March 29th, 2019. For hints and tips on your application, please click here.